Earlier this week, Sony Computer Entertainment (SCE) held a press conference in Tokyo about its next generation portable device codenamed NGP. It is the first major revamp to the PlayStation Portable since 2005 despite a few minor hardware upgrades and the PSP Go spin-off. While the existing PSP has reached the hands of nearly 64 million fans, it is far behind the 145 million Nintendo DS units in the market. 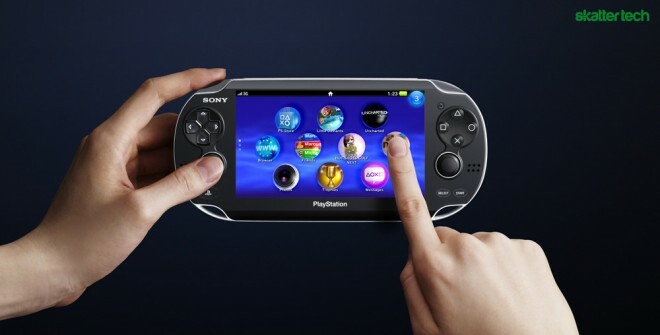 Sony hopes to catch up with the introduction its new handheld towards the end of 2011 and the launch of the “PlayStation Suite,” which will make it possible to enjoy the same content and high quality games on smart phones and tablets. Anyone who knows hardware can clearly tell that these capabilities are no joke. Most were not even expecting dual core processors to hit smart phones until later year, but devices such as the Motorola Atrix and the Droid Bionic popped up at CES 2011. A quad-core processor and a dedicated GPU equates to unparalleled graphics capabilities. The 5-inch OLED touch display and a rear touch pad offer a smart phone like experience to complement the traditional gaming controls. Since one of the major complains about the original PSP was a missing second analog stick, the upcoming NGP features two. This makes it easier and possible to play more sophisticated games traditionally found on full-blown consoles. A 3G broadband enabled device offers gamers more freedom, however a WiFi only model will also be available. With the new PlayStation Network “Near” application, geo-location becomes an aspect of every day gaming. Like the final PSP iteration which dumped the UMD physical media for flash storage, the NGP also switches to a new medium. 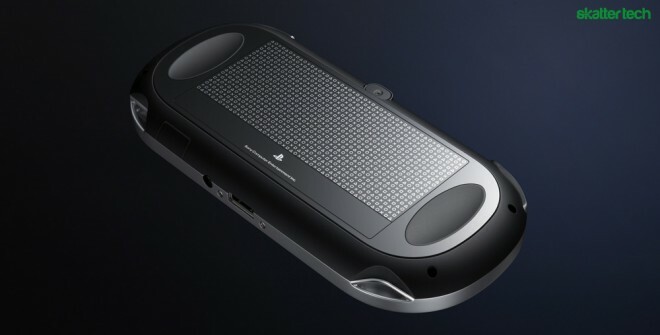 According to Sony, it will use a new small flash memory card for dedicated games. It is unclear whether they are referring to the existing Sony MemoryStick Pro Duo cards or the widely used SD card standard. However, looking back at Sony’s history, it can only mean an entirely new proprietary storage format, which would be somewhat disappointing. For those wondering about games, some popular titles include Killzone, Uncharted, Wipeout, LittleBigPlanet, Call of Duty, and Resistance. These and a few more will be available this year. While dedicated portable consoles are still very popular when it comes gaming, there is a major shift towards smart phones which offer better all-in-one experience. Sony recognized this market transformation and is making some major strides to enter an entirely new arena. The upcoming PlayStation Suite will bring the gaming platform to Android-based devices. It has never been possible to play PlayStation titles on third-party hardware in the past, making a major change for the company. SCE will even license the “PlayStation Certified” brand to hardware manufacturers who create devices that meet requirements. This is to ensure a consistent quality experience across all supported devices. As for games, both PlayStation 2 and PS one titles will be available for these third-party devices this year. SCE will also open the PlayStation Store to enable access to downloadable content. These titles will also run on the NGP according to Sony, however it is unclear whether new titles built for their quad-core handheld will also run on PlayStation Suite enabled Android devices. While the press conference brought plenty of good information about both the next generation portable (aka PSP2) and the PlayStation Suite, there is still much left unsaid. With a power-hungry quad-core processor, buyers will likely want to hear about battery life: some unofficial comments claim a 5 hour battery life. While the WiFi-only iteration will probably sell in retail stores like previous PSP devices, there is no word about whether the 3G model requires a traditional two-year contract. Sony also mentioned two cameras, but did not specify resolution or quality. With 3G networking and powerful hardware, it could make an excellent video chat device for services such as Skype. And most importantly, the company choose not to announce pricing yet. From experience, I can safely say that the initial price will be extremely expensive like all new PlayStation hardware. More details are likely to emerge from E3 later this year in Los Angeles and we will be there to bring you the details.